Consumers, collectors and experts alike have for years followed Antonio Galloni, Stephen Tanzer, Neal Martin and the rest of Vinous's team of world-renowned critics. Now, Vinous's app puts decades of experience at your fingertips with the essential tools wine lovers need to explore all things wine. EXPLORE WINES * Type a wine name or scan a label to search Vinous' archive of over 250,000 tasting notes and scores from wine critics you can trust * Use powerful filters and sorting options to pinpoint the wines you are interested in * Read articles on the latest releases from a team that spends months every year traveling throughout the world's wine regions to bring readers unparalleled insights and commentary * Browse verticals and retrospectives to see how older wines are faring today and to learn more about the stories behind the wines ESSENTIAL WINE RESOURCES * Vintage Chart - Explore vintages across the world with our free Vintage Chart, which describes growing conditions and overall quality for every major wine-producing area in the world. Then click 'see all wines' to enter the Vinous database to read full tasting notes and scores (requires subscription) * Vinous Glossary – Never be at a loss for words. 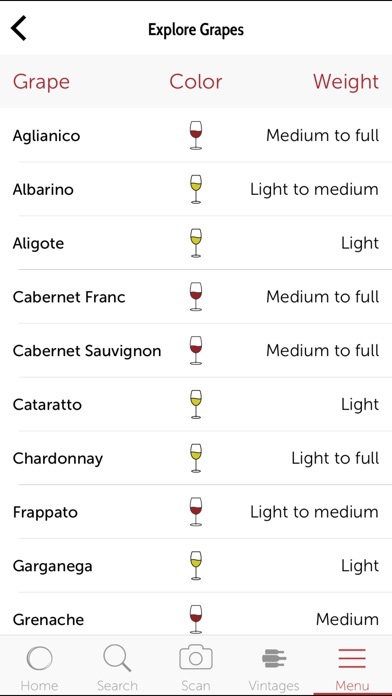 The glossary explains every wine word you will need to know to be an expert * Explore Grapes – Learn everything you need to know about grape varieties, where they are grown and what their main attributes are. Then click 'see all wines' to enter the Vinous database of to read full tasting notes and scores (requires subscription) * Read tips for enjoying wine at home, including how to open and decant older wines * Find where you can buy the wines you enjoy * Add wine notes to your personalized "Playlists" for quick access. SUBSCRIPTION OPTIONS: The basic subscription level is free of charge once you've registered with your Facebook or Google+ account. This includes access to essential wine resources, as listed above. Vinous Mobile subscribers can also see full reviews and ratings from Vinous' leading team of critics. Options include: One Month for $7.99 Three Months for $20.99 Six Months for $35.99 One Year for $59.99 Subscriptions will be charged to your credit card through your iTunes account. You will be prompted ahead of the period end as to whether you wish to renew your subscription. You will not be able to cancel the subscription once activated. You can manage your subscriptions in iTunes Account Settings after purchase. 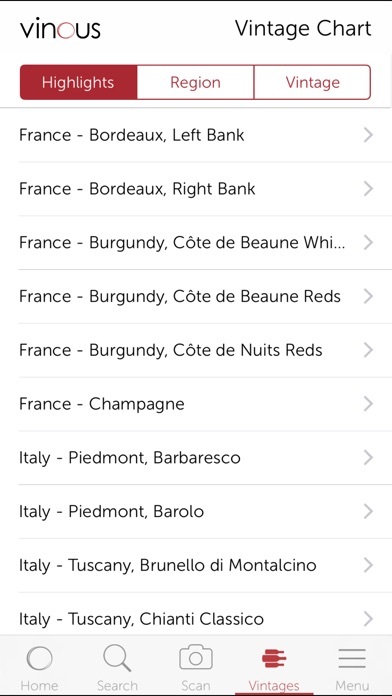 Subscribers to the Vinous website also get full access to the app and other features. If you have any support-related inquiries or need assistance, please contact support@vinous.com. 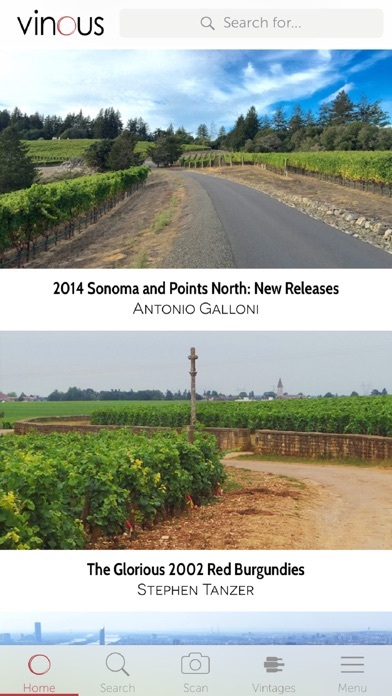 ABOUT VINOUS At the intersection of media and technology, Vinous is Antonio Galloni's vision of a modern-day wine publication. Vinous's team of renowned critics and writers offers in depth coverage of new releases, retrospectives and verticals of older wines, videos with winemakers, interactive maps and more, all published in a continual, daily stream of articles. With the acquisition of Stephen Tanzer's International Wine Cellar in December 2014 and the addition of the IWC editorial team, Vinous expanded coverage to all major wine regions. Today Vinous has subscribers in over 90 countries and is one of the most respected wine publications in the world. Great reviews, great articles, good app. From the heart and head of a Vinous-addict, Vinous should bring the app up to the standards of its reviews and articles. The app does not have access to the Your Say section of the website or at least the access is not obvious. Searching for articles or wine works far better on the web site than the iPhone app. (I mean typing Vinous.com into safari on your iPhone.) On the web site, you can find Burgundy articles (France:Burgundy, although you have to know to select the strangely named 'Sort Options' button.) As far as I know, you can't do this at all on the app. Searching for reviews is nearly as bad. The Advanced search feature on the web site isn't perfect, but you can usually find what you want pretty easily. Not so with the app. The shame is that the Vinous team is working hard to put out a ton of great content but making it unnecessarily difficult to find that content. Vinous and it’s reviewers are my #1 source for reliable reviews. I am in tune with the tastes and preferences of each of the reviewers. 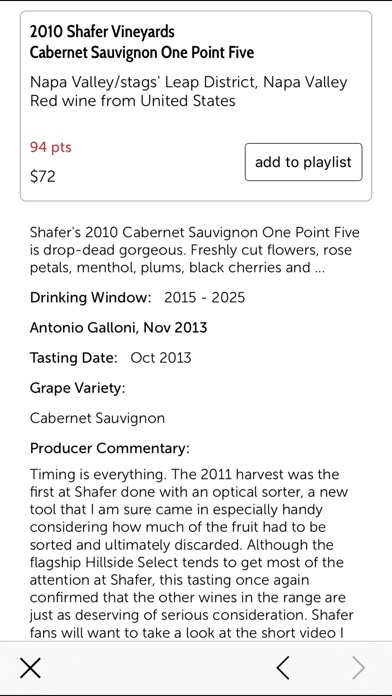 The developers should improve the app’s search feature to distinguish between articles and wine reviews, and they should add the great chats and discussion fora that are available on the website. Keep up the good work ! Great app and ecosystem. I don’t buy wine anymore with out Vinous. This app is for everybody! For the wine lovers who are interested in learning more about wine, there are daily articles that are super helpful. 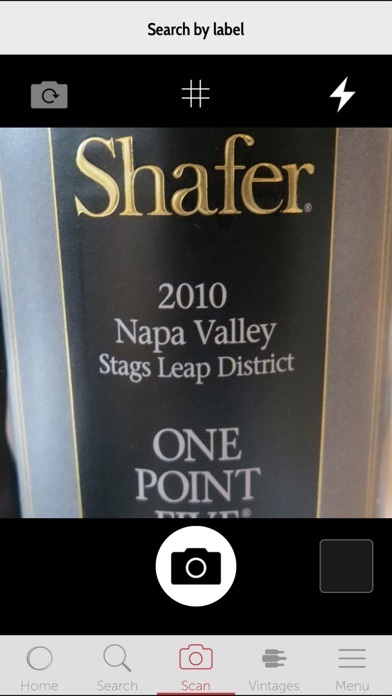 For someone who is just getting into wine, this app allows you to see reviews in order to help you choose the perfect bottle. Easy to use, great app. The articles are a great way to learn more about wine especially for a wine lover like myself! Recently introduced to this app through a family member. It hasn't failed me yet. Great source for new wine suggestions.